The color green which is used on multicolored patterns in the Cédric Charlier Autumn/Winter 2013-2014 Show is based on Pieter Bruegel’s paintings. Tony Scott’s « The Hunger » influenced the Alexis Mabille Autumn/Winter 2013-2014 Show. Other « The Hunger »-inspired collections : Emilio Pucci by Peter Dundas Pre-Fall 2012 (the moodboard of this collection featured images of David Bowie and Catherine Deneuve in « The Hunger » ; furthermore, « The Hunger » is Peter Dundas’ favorite film), Kai Kühne Autumn/Winter 2008-2009 (this collection referenced Catherine Deneuve in « The Hunger »), Loewe by Stuart Vevers Autumn/Winter 2008-2009 (Miriam Blaylock, Catherine Deneuve’s character in Tony Scott’s « The Hunger », was one of the influences of this collection). 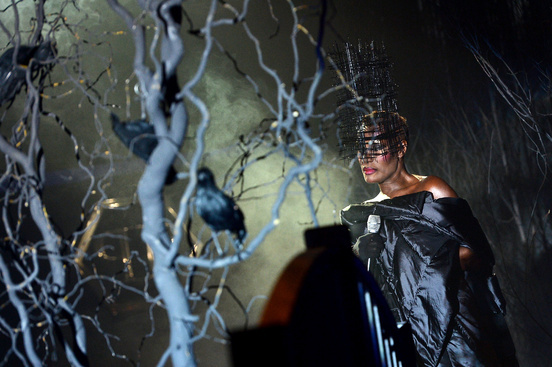 Grace Jones, who took to the catwalk and performed « I’ve Seen That Face Before (Libertango) », was the muse of the Philipp Plein Autumn/Winter 2013-2014 Show. Some Grace Jones-inspired collections or items and Grace Jones’ collaborations : Catch a Fire (the outfits that Cedella Marley designed for the 2012 Olympics’ Jamaican team, in association with Puma, were inspired in part by Grace Jones), Deborah Pagani Autumn/Winter 2010-2011 (gold and white diamond « Grace » earrings, inspired by Grace Jones), Etam Spring/Summer 2012 (Grace Jones performed on the catwalk during this presentation), Giorgio Armani Autumn/Winter 2013-2014 (Grace Jones featured on the soundtrack of this « Garçonne » show), Hannah Marshall (in 2009, Hannah Marshall, whose creation studio was covered with Grace Jones’ portraits, said that the singer was a great inspiration for her designs), Jean Paul Gaultier Spring/Summer 2013 (Grace Jones influenced the tuxedos of this show, which was choreographed by Blanca Li; some models in the background took poses inspired by Grace Jones’ « Island Life » cover album, photographed by Jean-Paul Goude ; Grace Jones, portrayed by Jeneil Williams, also appeared in the Jean Paul Gaultier Spring/Summer 2013 campaign, shot by Sebastian Kim), Narciso Rodriguez Autumn/Winter 2013-2014 (a mix of Grace Jones’ « Inspiration » featured on the soundtrack of this show), Pinko by Mark Fast Spring/Summer 2011 (collection influenced by Grace Jones and Studio 54). Moreover, Grace Jones’ style was highlighted in the December 2009-January 2010 issue of « Vogue Paris » (in the « Profil de Grace » shopping selection, photographed by Paola Kudacki and styled by Mélanie Huynh, from page 53 to page 58) ; Noisettes’ Shingai Shoniwa featured, dressed as Grace Jones, in the March 2011 issue of « British Harper’s Bazaar » (in the « Amazing Grace » fashion feature, shot by Txema Yeste, and styled by Nathalie Riddle, from page 272 to page 275) ; in the February 2013 issue of « British ELLE », Anne-Marie Curtis wrote that the Roland Mouret Spring/Summer 2013 Collection was « all power-woman. Think Grace Jones meets Melanie Griffith in Working Girl ». 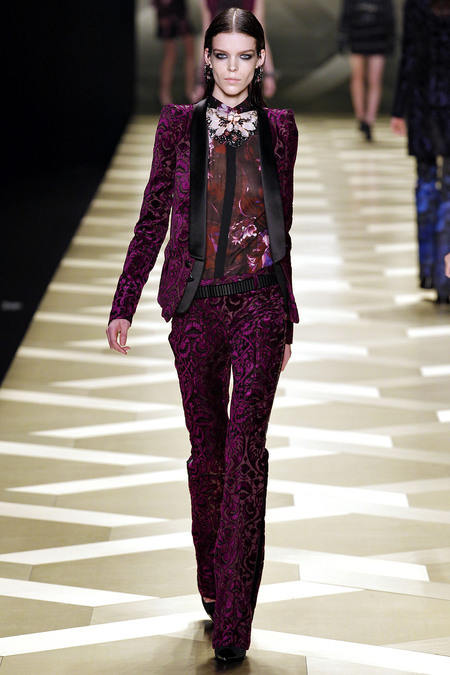 Peter Paul Rubens’ baroque style was one of the inspirations of the Roberto Cavalli Autumn/Winter 2013-2014 Show. Another Peter Paul Rubens-influenced collection : Dior by John Galliano Couture Autumn/Winter 2007-2008 (some prints were based on several painters, including Peter Paul Rubens). Sicily’s Cathedral of Monreale was the starting point of the Dolce & Gabbana Autumn/Winter 2013-2014 Show. Other Sicily-influenced collections : Dolce & Gabbana (various collections from the designers were inspired by Sicily, especially the Sicily of Luchino Visconti’s « The Leopard », for their Autumn/Winter 1988-1989 collection, Sicily’s tradition of white lace, for their Spring/Summer 2011 collection, and Sicily’s baroque religious traditions, for their Autumn/Winter 2012-2013 collection), Roksanda Ilincic Resort 2011 (partly). 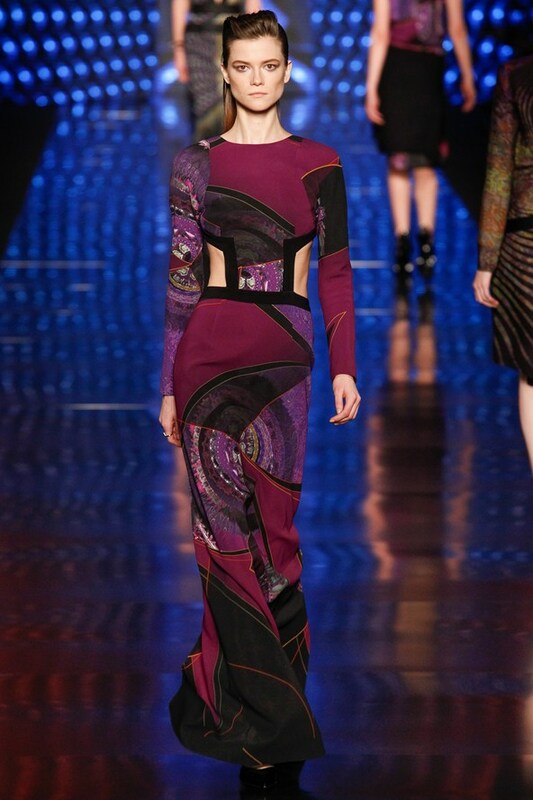 Kazimir Malevich-style geometric shapes were showcased in the Catherine Malandrino Autumn/Winter 2013-2014 Collection. Other Kazimir Malevich-inspired collections : Jean-Charles de Castelbajac (Kazimir Malevich-influenced red wool coat, with a white « cross » motif, in his Autumn/Winter 1992-1993 collection), Martine Sitbon Spring/Summer 1998 (diapositives of Kazimir Malevich’s works were projected on dresses), Peter Pilotto Autumn/Winter 2011-2012 (artists such as Kazimir Malevich inspired the prints of this show), Rue du Mail by Martine Sitbon Spring/Summer 2008 (some motifs were reminiscent of Kazimir Malevich), Roksanda Ilincic Resort 2013 (some prints were inspired by Kazimir Malevich’s paintings), Wunderkind Autumn/Winter 2009-2010 (Kazimir Malevich’s rectangle and square paintings influenced prints), Yeohlee Autumn/Winter 2010-2011 (Yeohlee Teng’s program notes mentioned Kazimir Malevich’s « Black Circle »). Moreover, in 1923, Kazimir Malevich designed the project of a « suprematist » dress, and in 2012, Derek Lam told Katherine Bernard that his absolute favorite book was about Kazimir Malevich.